Post details of domains currently available to register. 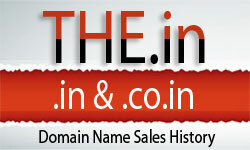 Indian Domainers: How does the process work for dropping domains? Which drop service do you use for expired .in domains? Where to watch for dropped .in names? Where to find expiring LLL.in? When will the domain release? When will the domain go for public registration again? What's the reason for this? What Names Can You Find? What about .us drop lists ? Other extensions ? ?